Cape Cod is one of the countries more beautiful areas and places to be. During the summer, people flock to this area for vacationing and relaxing. 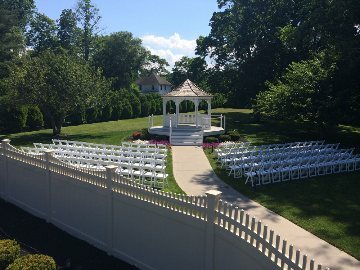 Located only 45 minutes off Cape Cod, the Canoe Club is happy to bring a little bit of elegance from Cape Cod into their wedding venue. Massachusetts is a beautiful area, and it is our goal to integrate a bit of every aspect of the state. Our beautiful courtyard provides a “two-tiered gazebo and amazing landscapes that are here to make you remember us. Cape Cod is about spending time outside, being with nature and being with friends and family. It is that principal that has followed us to create our courtyard and wedding venue setting. If you live in Cape Cod or any town within the area, please feel free to reach out to Canoe Club Ballroom. For further information we can be contacted at 508-588-4747.